About Fun ‘N’ Sun – Fun 'N' Sun Publishing Inc. 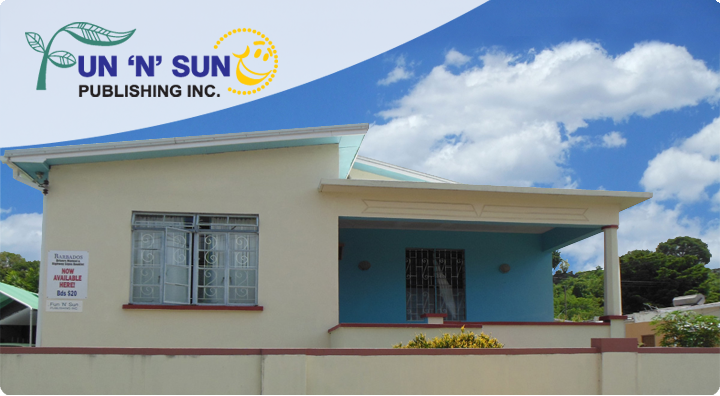 The Barbados-based Fun ‘N’ Sun Publishing Inc. was established in December 1992 with the aim of bringing the Caribbean peoples closer together. As a result, it printed two top directories highlighting the Caribbean – a 372-page Directory featuring the region, entitled “FNS Caribbean Traveller” which promoted the Caribbean as “the greatest destination on earth with many stop-overs” and the “Caribbean Professionals’ Directory”, a listing of professionals from Accountants to Zoologists. In addition, the publishing company also printed a series of Drivers’ Manuals for the Caribbean in booklet form. In 2011, Fun ‘N’ Sun Publishing Inc. uploaded its 12 on-line drivers’ manuals – Anguilla, Antigua & Barbuda, Barbados, the British Virgin Islands, Dominica, Grenada, Jamaica, St. Kitts & Nevis, St. Lucia, St. Maarten, St. Vincent & The Grenadines and Trinidad & Tobago. Fun ‘N’ Sun Publishing Inc. is managed by a Board of Directors, headed by Juliet DacBang, President and CEO and includes Robert Pitcher, Creative Marketing Consultant; Marlene Menezes, Company Secretary and Gavin DacBang, Director. The staff comprises Morrison Timothy, Heather Greenidge, Sytel Cummins, and other freelance artists and writers. To become the single largest publishing conglomerate in the entire English speaking Caribbean serving our people and advertisers with professionalism. Juliet was born in Guyana to a Vietnamese father and a Portuguese/Arawak mother. She is well versed in company administration and accounting. After having spent many years in Canada working in those areas. She now joins her husband Robert Pitcher in Barbados. 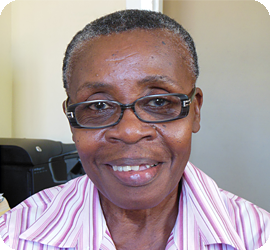 Juliet is a firm believer in “things Caribbean” and this is one of the reasons she welcomes the challenge to make Fun ‘N’ Sun Publishing Inc. the leading informer, through its publications, of goods and services in the region. Juliet is well travelled, having visited places such as Suriname, Scotland, England, the Bahamas, Venezuela, United States of America, Thailand, North and South Vietnam, and the Caribbean. “Bobby”, as he is more familiarly known, has been in Advertising and Publishing for over thirty-five years. His career started when he worked for one of the largest advertising agencies in the ’1960s – Norman, Craig & Kummel (NCK). 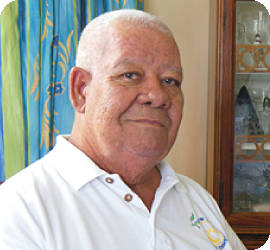 Moving on, Bobby owned and managed Robert Pitcher Advertising before entering the publishing arena where he produced the Barbados Drivers’ Manual, Barbados Homemakers Magazine and a map of Barbados in three languages – French, English and Spanish – for the tourist industry. 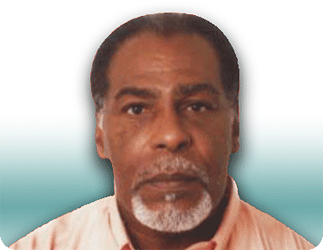 On numerous occasions he compiled and sold advertising in the Barbados Telephone Directory as well as the Trinidad and Tobago Telephone Directory. While based in Canada, he marketed the office equipment business of South West Plastic Binding, before forming his own company, PGC (Pitcher General Corporation). As a strong believer in Christianity, he lives by the maxim “do unto others as you would have them do unto you” and “whatever you sow, you will reap.” This Gemini-born has hobbies of playing dominoes, cooking and reading. He is a workaholic and a stickler for time and perfection. He firmly supports Caribbean unity and sees us as one people. 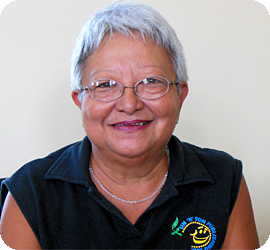 Marlene entered the work force at an early age, beginning with Sales and continuing with Cashiering and Accounting. Marlene, mother of Roger and Rachel, is a dedicated family woman who loves domesticity and enjoys semi-retirement. This Libra-born Bajan does not like flying, but will take short shopping trips to Trinidad. As a friendly person by nature, Marlene can be called upon at any time. Morrison is Antiguan born. He was educated and trained in the field of Advertising and Marketing in the United Kingdom. He is also qualified in Photography and Graphic Design from the West London College of Art. In 1980 he joined the firm of FCB working in the Art Studio preparing Newspaper and Magazine Ads. He also worked at other advertising agencies such as Lonsdale and Mc Cann Erickson as an Accounts Executive, where he reached to Management level. On his return to Antigua he operated a company producing Newspaper and Magazine Ads. He also did some publication work for LIAT on their magazine LIAT DREAM HOLIDAYS. In 2002 he became the Coordinator for Caribbean Star Airlines, mainly working on the Star Vacations Magazine. He is an ardent supporter of Caribbean unity. During his spare time he enjoys watching most competitive ball games and assisting in community work, especially for the elderly. Heather comes from a journalistic background, having worked with one of the local newspapers for more than two decades. Stefan Potthoff was born in 1984 in Germany. After finishing his Secondary Education he went further on to Business College before he completed his Certificate of Chamber of Industry as Industrial Management Assistant which is a highly recognised subject of a dual education program in Germany. This program took place in school and at a company named Dovo Stahlwaren. Dovo Stahlwaren is located in the worldwide famous city for knives and cutlery in Solingen, Germany. After working in Solingen for about three and a half years, Stefan moved to the Netherlands where he managed a retail shop in the south west of the country. After running the retail shop successfully for two and a half years he made a step further in his career and started working at Boska Holland. Boska Holland was founded in 1896 and is specialized in designing and producing quality cheesewares. Stefan was responsible as a Key Account Manager for the focus markets Germany, Austria and Switzerland. In these markets Stefan grew the brand, found and develop new Key Accounts and built a strong distribution network over the last 6 years. During that time he also studied beside work at the CLM Business School in Düsseldorf and finished his Bachelor Professional of Business (CCI). Stefan is married to his Barbadian wife Donna and a proud father of two daughters. After living with his family in Germany for about 6 years it was time to follow his heart and relocate to the beautiful island of Barbados in 2016. From February 2017 Stefan will be working for Fun ‘N’ Sun Publishing Inc. as an Account Executive. In this function he will be responsible for growing and developing around 25 islands in the Caribbean for one of their websites, www.caribbeantraveller.com. Next to this, another focus task will be to build a strong sales team across the Caribbean which will be managed by Stefan. 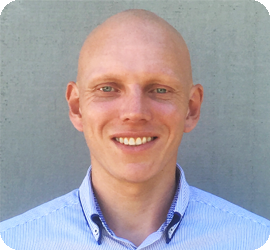 Stefan grew his leadership skills during the last couple of years while he was working closely with an intern team and an amount of extern Sales representatives. “I have worked with and in different cultures in my career and with people from all over the world and different backgrounds. I am looking forward to the great and challenging new step in my career by Fun ‘N’ Sun Publishing.” Stefan stated. It is said that “cleanliness is next to Godliness” and that “the way to a man’s (or woman’s) heart is through his/her stomach.” Bearing these in mind, you will see why Sytel Cummins is a pillar in the Fun ‘N’ Sun ‘house’. 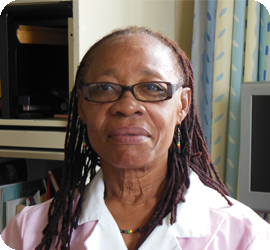 An Antiguan by birth of Barbadian parents, Sytel has been the housekeeper for the Company from the inception. She is a member of the Pilgrim Holiness Church and in her spare time likes going to the cinema. 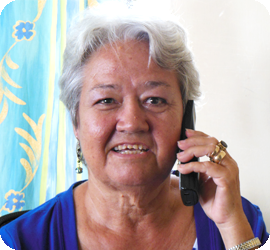 Having been raised by her maternal grandmother, Sytel says that she is from the ‘old school’ and believes in good manners and young people respecting the elderly and people’s property. Sytel hopes to be at Fun ‘N’ Sun for a very long time.